Selling for a living here in Philadelphia can be as exciting as it is challenging. Building relationships across important networks in and outside of the company and organization is extremely helpful. Selling is not an easy process, but it can be a simple one. 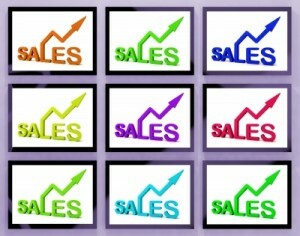 In fact, it is within a menu of common sense strategies in sales that make a career successful. Simplicity aside, how does one achieve this goal as a sales professional. Mr. Dale Carnegie in his book “How to Stop Worrying and Start Living”, discusses the future, connections, effort, stress management and engagement. These are important core factors in the sales profession. The continuing challenge is to stay focused and committed to quality service and product presentation. Taking the good with the bad and having a great attitude is at the heart of ethical relationship selling. In “How to Win Friends and Influence People”, sales success is established in a slightly different way. It is indeed all about relationships, and it is essential to pay attention to prospects and clients in positive ways and involve them in every aspect of the sales process. These principles indeed work well. The Carnegie methodology is time-tested and proven to work when applied to opportunity. Always be honest and ethical: It that simple. Being sincere makes every presentation more effective. Relationships mean success in the selling profession. Be an excellent active listener: Many sales professionals must slow down their processes with both fact finding and product presentation. Every client has a reason they need the services that are offered. Clearly understanding the needs and wants of the customer will make the opportunity a more pleasant experience. Listen well. Be a practiced professional: The typical sales presentation always needs a little practice. Timing and clarity can keep the process on track and focused for efficiency and understanding. Offer options: A good salesperson has to offer an array of products and services in a single presentation to give the client choices. Share common interests: Although each person is different, customers will often purchase from a salesperson they like and trust. Similar interests pay off. Success is most always found within connections. Sales careers are built from referrals and a solid client base. The best people are often found in the best professions. Selling is in that category. The Dale Carnegie Principles will always help.